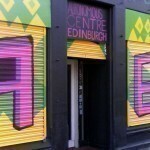 The Autonomous Centre of Edinburgh (ACE) exists to support and encourage people to take more control of their lives. We believe in people co-operating as equals to create a shared world free from exploitation. We work together in the spirit of mutual aid. ACE is a self-managed social resource centre. We’re open to groups & individuals who are trying to make a better society and improve their lives. If you have a project you want to get off the ground – but are struggling for lack of resources – ACE is the place for you. Check out the drop down list above to see the many groups & activities already based here who always welcome new folk who’d like to get involved. Drop by when we’re open, or come along to one of our events. 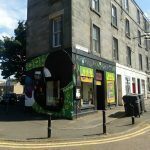 ACE is open every Tuesday from 12 to 3 pm for the Edinburgh Claimants / Edinburgh Coalition Against Poverty drop-in advice and solidarity session on debt, dole, work, council and housing hassles. We’re also open on the last Thursday of the month 6 to 8 pm and the first Saturday of the month 1 to 4 pm. We also hold events outside these hours, many of which are open to the public. Our Info Shop sells a wide range of radical literature alongside Chiapas solidarity goods such as coffee, textiles & books. 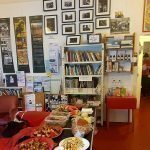 As well as the Scottish Radical Library there are many other resources available to use. We’re child friendly and wheelchair accessible and abide by a ‘Safer Spaces’ policy.